No one believes me, but I’m often pretty convinced that I’m precognitive (at least) or completely psychic (at most). 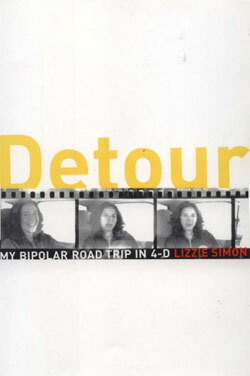 I just finished Detour: My Bipolar Road Trip in 4-D by Lizzie Simon. (First Reading Response to Detour is here.) Right now is the inappropriate hour for me to give a complete response, but I do want to share the end. Yes, I am sharing the end of the book. If you are uncomfortable with spoilers or things of that nature, then consider yourself fairly warned and stop reading. First, recall the last post and my New Year’s resolution to finally return to what amounted to an all-out collapse ten years ago. “But we must investigate. We must never rest easy, feeling stolen from. There can be justice for us, too. So we must go forward with our investigations, and we must look back: first at our episodes, and then, courageously, at everything else” (227). And later tonight, I will once again dare my husband to say I’m not psychic. Pingback: Reading Response: Detour (3 and final) « Define "Functioning"